Badame Law Group, APC has over 60 years of litigation experience. We have litigated both for and against employers. We can predict and prepare for any situation. Call our firm to start your case. At Badame Law Group, APC, we are recognized as one of California's premier litigation law firms that consistently provides high-quality, trend-setting legal services to satisfy our clients’ goals. We are heralded as aggressive advocates for our clients and their interests, both in and outside the courtroom. Through the use of aggressive and comprehensive pleading, discovery, and trial practices, we are proud to have established a reputation for being highly skilled and committed to our legal responsibilities. Our Irvine employment and business lawyers' primary focus is the most direct and economical resolution of litigation matters, which in the end, benefits our clients in a fiscally prudent manner. Clients of Badame Law Group, APC receive personal and individual attention throughout the entire litigation process. When you choose our team to represent you, our focus is on the expeditious resolution of your litigation matter. Through the utilization of our experience, creative philosophy and innovative resources, we are able to provide our clients with an unparalleled legal experience. 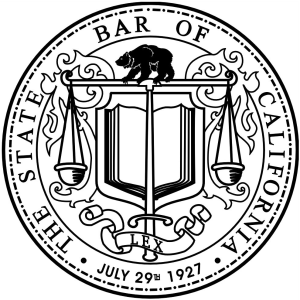 Badame Law Group, APC is proud to offer tremendous amounts of experience litigating all types of employment claims in both State and Federal Court throughout the State of California. We have been serving clients in Orange and LA Counties for over 50 years and have successfully handled thousands of cases – and our reputation for being thorough and uncompromising in our work serves our clients well. When you choose Badame Law Group, APC, you are getting a team that has a wealth of experience on both sides of the equation. We have litigated both for and against employers, meaning that we can predict, prepare for, and preempt what our opponent is going to do next. This experience has proven invaluable to our clients’ success. We do what we do, first and foremost, to vindicate our clients’ rights, and nothing is more rewarding to us than when we are able to successfully achieve their goals and get the justice they deserve.